Pets love to be out in the fresh air, with freedom to explore. But just letting them out isn’t always practical or safe. As a responsible owner you’ll want to keep your pet close to home and out of harm’s way. 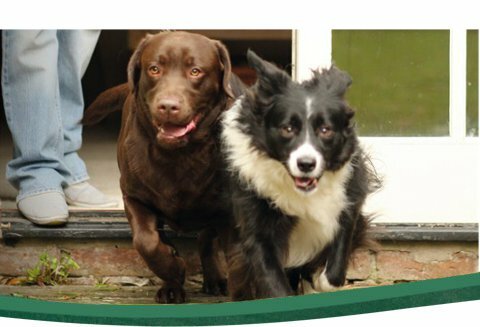 With a PetSafe® Containment System you’ll be able to do just that with our range of smart, hidden fence kits. All of our Containment Systems uphold the rigorous standards of pet protection as laid out by the Electronic Collar Manufacturers Association™ – ECMA™. Our original pet fence systems create a hidden fence via an In-Ground wire which works with a receiver collar. No wires, just a clever transmitter to create a hidden fence which works with an electronic receiver collar. How do Containment Systems work? Containment Systems use a surprising electrical stimulation to discourage a dog or cat from moving outside the defined boundary. Your pet will wear an electronic receiver collar with contact points that rest on the underside of their neck. Containment Systems are behaviourally activated by your pet; should he stray beyond the boundary set by the transmitter, he will receive an electronic stimulation. Pets quickly learn to respect the perimeter and soon avoid the stimulation completely. We offer a range of solutions to suit different pets and different needs. You’ll need to consider your pet’s temperament and weight and also the size of the area you want to contain your pet in. As a founding member of ECMA™, PetSafe® Brand has a continuous concern to improve the well-being of pets, giving them harmony and integrating them into everyday life. PetSafe® Brand is committed to meeting the requirements laid out in the ECMA™ standards for pet protection products for sale in European Union countries. All PetSafe® Containment Systems meet these requirements. How can I stop my pet from escaping? Have questions about these products? Wondering how to install a fence and train your pet?